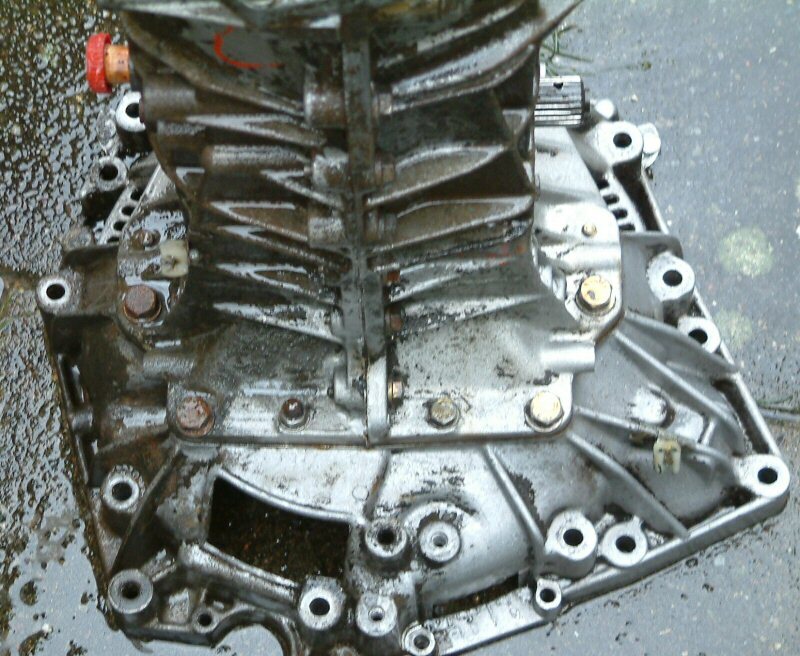 Gearbox filling hole on your car is on the right side of the gearbox behind the driveshafts. AFAIR the oil should be at level with this opening. I think you have it just right. And yes, it's very hard to access. I guess you need a pump. I took the gearbox off to do it! I found this photo in my archives... the top hole where you see the red headed cork is where the reversing lights switch go in. There's a hole further down but on the same side which for filling, and yes - instruction says to fill it until it starts flowing out. There's a Haynes manual for this car, you might find that useful! I'll have to admit I never used the nut either - it wasn't rounded, but I just couldn't get it out! So we ended out just pouring two litres of oil into the reversing lights switch hole before fitting the gearbox back on the car.